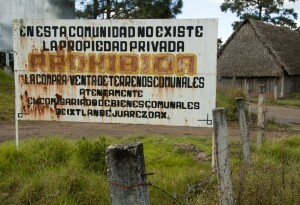 Outside Ixtlán de Juárez, Mexico, a sign warns visitors that “In this community, private property does not exist. 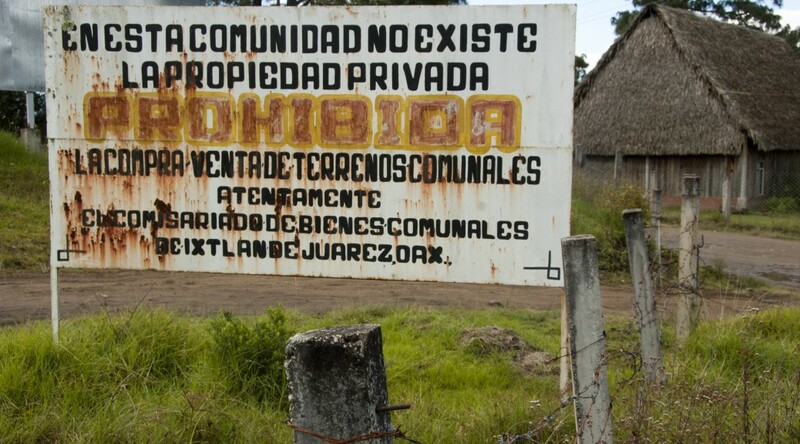 The purchase and sale of communal lands is prohibited.” Lucas Laursen. 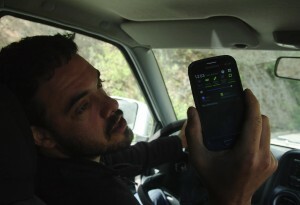 Peter Bloom of Rhizomatica shows off the signal strength on a handset outside of Talea de Castro, Mexico. December 2014. Lucas Laursen. 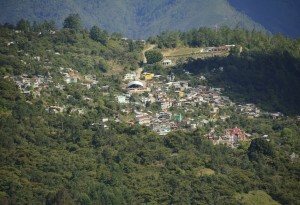 Talea de Castro, Mexico. December 2014. Lucas Laursen. 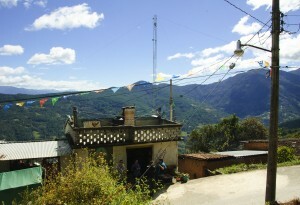 Talea GSM’s antenna in December 2014. Lucas Laursen. WANT to get some cash at automated teller machines in Nairobi? Don’t be surprised by the guards with machine guns. ATMs attract plenty of muggers and pickpockets. Unsurprisingly, cashless transactions have been catching on fast in Nairobi and elsewhere in Africa. 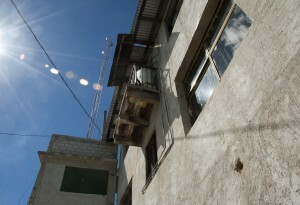 Microfinance organisations were among the pioneers. In Kenya, for instance, they started using M-PESA, the popular mobile money service, to hand out loans to small-time businesspeople in 2008, soon after its launch. HIGH-SPEED currency trading uses oodles of computing power to exploit short-lived price differences in international foreign-exchange markets. Jonathon Keats proposes an alternative: exploit the electrical differences between currencies to power a low-speed computer. In an exhibit which opens on April 12th at the Rockefeller Centre in New York Mr Keats, a concept artist (or, as he likes to call himself, an experimental philosopher), introduces the notion “electro-chemical arbitrage”. An engineer might call it a battery. MANY cabbies pay a dispatcher to keep the fares coming. The dispatchers are an information clearing-house, offering customers a central point of contact and offering on-the-move drivers directions to the nearest prospective passenger. But location-enabled smartphones in the pockets of more customers, and on the dashboards of more drivers, offer a tempting way to skip the middleman. If, that is, customers and drivers can find a handy way to share their locations. Enter the app developer. In Sweden, Germany, Spain and Britain this new breed of middleman has released a slew of taxi-finding apps in recent years. When a customer requests a taxi, the applications ping the nearest available driver. He can accept the fare, paying a small commission, or skip it. Some applications offer customers an estimate of the fare, ratings of potential drivers or, once a match is made, a moving blip on the map, showing their drivers’ progress. All this is especially useful for visitors unfamiliar with a city or late-night revellers uncertain of their street address.